We love going to the zoo so much! And this year we've upgraded our passes to the San Diego Zoo from the Diamond Membership to the Keepers Club. The Keepers Club gets use free parking at The San Diego Zoo's Safari Park (parking at the San Diego Zoo is always free). As well as 2 one day passes so we can take additional guests, like when my husband's parents are in town. 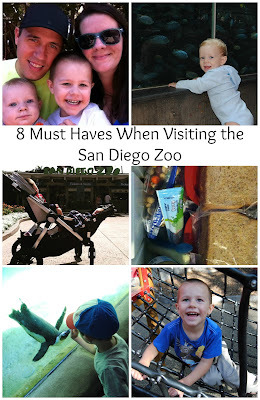 Without further ado here are 8 must haves when visiting the San Diego Zoo! I cannot express enough how important sunscreen is, though another option would be to keep covered, think long sleeves hats with brims. Though a decent portion of the Zoo is covered from all the trees and foliage you don't want to end up with a burn. Sunscreen is especially important on cloudy days!! If you have a young child you must bring (or rent) a stroller. Chances are you will be walking many miles as you trek from one animal to another, just to have your child exclaim s/he'd like to view an animal on the opposite side of the zoo. Though we have our older son walk around the zoo we do let him hitch rides when we are going from one end to the other or when we are headed up hill, the zoo does have quite a few steep inclines but we've been able to take our stroller throughout the zoo. One thing I LOVE about the zoo is that you are still able to bring snacks into the park with you! 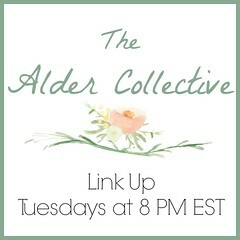 This is great if you are on a budget or for health reasons. The zoo does have some delicious food options if you do decide to eat there, they also have a pretty great drink option, you can buy a souvenir cup and get free refills the day of and refills for $1 on days you come back. We've even been able to bring in souvenir cups from other attractions (Seaworld, Legoland) and get the $1 refills. Comfortable shoes are a must because you will do a lot of walking, though you do have the option to take the bus tour (which is pretty awesome) and with the bus tour you are automatically able to ride the express bus. The tour bus takes you around a decent portion of the zoo and gives you a different (higher up) perspective of the zoo and the driver will help you spot the different animals as they talk about the zoo. The express bus has several stops in different areas of the zoo where you are able to board and choose to get off at any stop you want. There is also the Skyfari which takes you from the front of the zoo (by the petting zoo) to the back of the zoo (near the polar bears). Bring extra diapers and wipes and a change of clothes, even if your child is potty trained. There are areas where you have to walk a decent amount before running into a restroom and it doesn't hurt to have an extra change of clothes. To help out be sure to stop at restrooms you come across and do potty breaks. Water should probably be up at the top of the list but I didn't think about it until I started talking about potty breaks in point 6! Bring water or a water bottle, you can refill at water fountains or get ice water from the different restaurants and stands that offer tap water. I prefer heading to the stands over the water fountains because you are able to get ice water which is nice on a hot sunny day. If you have an accident prone child or one in the early stages of walking it's nice to have small kit in your bag in case of tripping. Just a small kit or plastic baggie with a couple of bandages and disinfectant wipes to clean up and bandage any wounds (real or imagined) after a fall. The San Diego Zoo does have a first aid center towards the front of the zoo. Is there anything I missed that you find essential when headed to your favorite attraction? Great advice!! Snacks snacks and more snacks!! I also agree sunscreen and water are a must. I've only been to that zoo once but I'd bring that whole list to any zoo! The list would be good or any zoo trip, I've never been to any zoo but the San Diego Zoo and the San Diego Zoo Safari Park. I am obsessed with my stroller City Select you can take the seats out so they face you, or the front, or face each other and even one facing you and one facing forward. You can get an attachment so you can use it with a car seat! Great tips! This post made want to visit the zoo. We only went to the zoo once last year. I think my favorite zoo out of the few we have visited is the St. Louis Zoo. I'll have to put the St. Louis Zoo on our to do list when I visit my mom in Missouri. :) We try to go to the zoo every Wednesday, but with all the rain we've had in San Diego we haven't gone yet in 2016! I love going to the zoo. The biggest ones I have visited are the Detroit and the National Zoo in DC. We hope to get to one this summer. Thanks for the great list- it will work for our older kids too.